Based on six years of research and 15 years of practical application and consulting on over 20,000 B2B negotiations in nearly 50 countries, B2B Street Fighting will redefine how you think about negotiation. 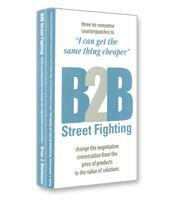 B2B Street Fighting by Brian J. Dietmeyer shows you how to change the negotiation conversation from the price of your products and services to the value of your solutions, and build value for you and your customers in every deal. Conversations make or break everything in sales. 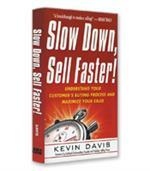 Every conversation you have is an opportunity to find new prospects, win new customers, and increase sales. 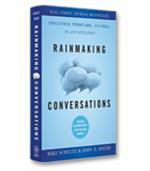 Rainmaking Conversations provides a proven system for leading masterful conversations that fill the pipeline, secure new deals, and maximize the potential of your account. Rainmaking Conversations offers a research-based, field-tested, practical selling approach that will help you master the art of the sales conversation. What salespeople ask and how they ask it is more important than anything they might say. 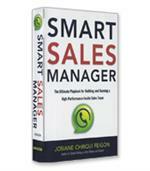 Veteran sales trainer Freese offers a questions-based method that will help salespeople generate leads and close sales. The first step: using questions to make prospects curious about your service and product — and ready to listen to what you have to say.